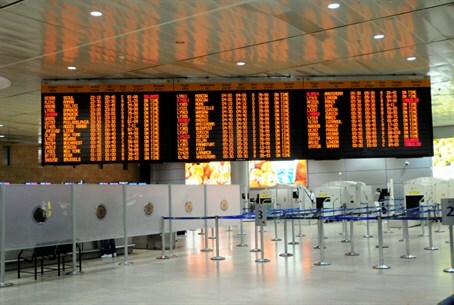 Arutz Sheva visited the Ben Gurion Airport as Israelis waited to find out about their flights, before strike ended. Even before the strike by Israeli airline workers ended, hundreds of Israelis and tourists were at the Ben Gurion Airport, waiting for hours on end to find out whether their flights would depart. Arutz Sheva was at the airport and spoke to some of these frustrated would-be travellers.